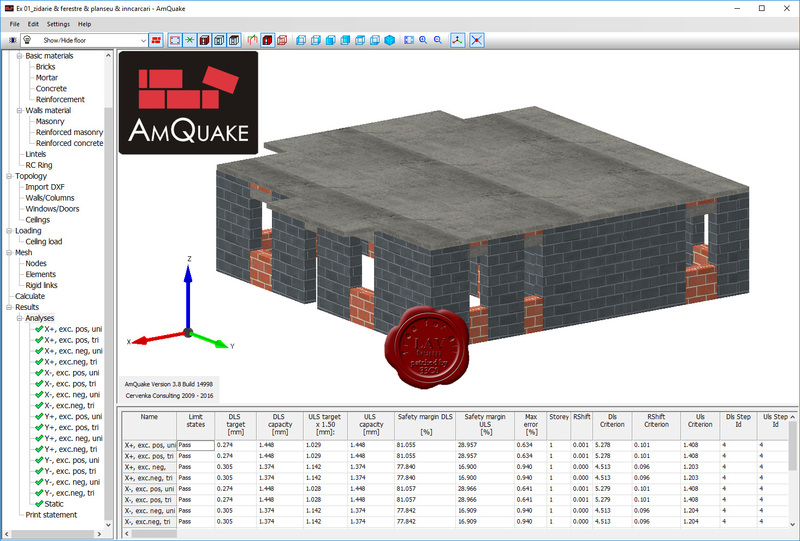 AmQuake is the program for earthquake/seismic design of masonry buildings. It is a result of a close cooperation between Červenka Consulting and Wienerberger, major European manufacturer of masonry systems. The program will help engineers to design safe masonry buildings in the seismic regions of Europe. This development was initiated by the introduction of Eurocode 6 and 8 in Europe. These standards have become mandatory in the European Union starting from March 2010, and they enforce strong rules for masonry buildings in seismic regions. AmQuake is using pushover analysis and the equivalent frame method to check the seismic safety of masonry buildings in a graphical user friendly environment.